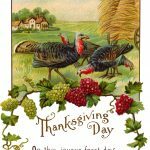 This bundle of very colorful drawings of Thanksgiving Turkeys comes from my collection of old postcards. 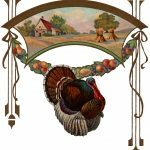 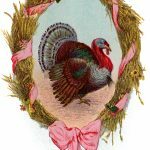 There’s a turkey inside a straw wreath wrapped with pink ribbon, a turkey staring forlornly at an axe, and a group of turkeys standing in a field, among others. 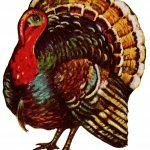 I hope you find a fun way to use these Thanksgiving turkeys for the holidays. 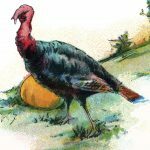 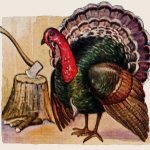 You might also want to take a look at the Cartoon Turkeys and the Thanksgiving Pics galleries, too.